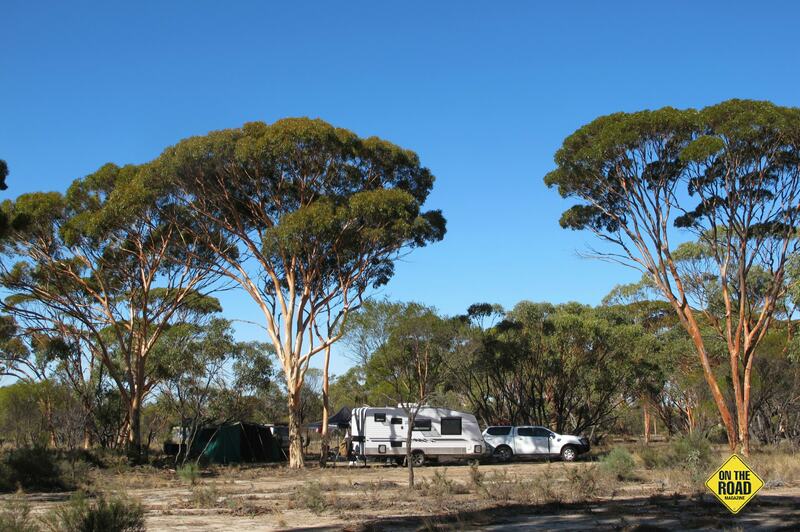 The Western Australian Wheatbelt has very few opportunities for bush camping, but one I can recommend is the Kwolyin campground located on the Bruce Rock-Quairading Road, only seven kilometres west of Shackleton, and 39 kilometres east of Quairading. 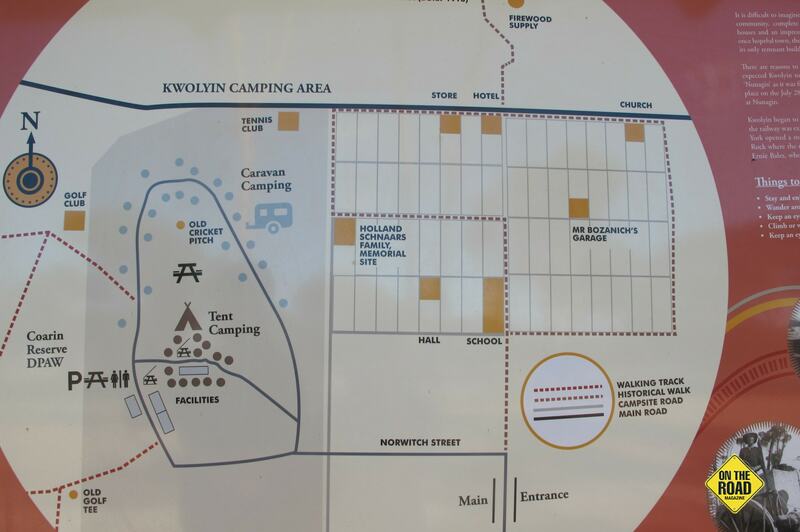 The Kwolyin campground was created at the site of the old Kwolyin townsite in the last few years to replace the former Kokerbin Rock campsite, nine kilometres to the north, which, as locals put it, had been “loved to death”. 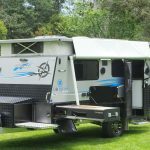 Since then it has become a very popular campsite particularly on long weekends and school holidays. The town was originally named Koarin, but being similar to the pronunciation of another town, Kauring, the name was changed to Kwolyin. Wheat farming began in the area in 1908, the first store in Kwolyin was opened by JB Harris in 1912, and the first town lots were sold in 1913. Lack of water caused growth problems for the town. Its demise was sealed in 1992 when the Kwolyin Hotel was destroyed by fire. All that remains today is the Catholic Church opened in 1955. The campsites scattered through the scrubby bushland on the site of the old football and cricket grounds, are suitable for tents, caravans and camper trailers. There is a large picnic shelter with gas BBQ adjacent to a camp kitchen which is closed in on three sides sheltering gas hotplates, benches and sink with water. The flushing toilets have hand basins and are wheelchair friendly. The tent area has a picnic shelter, tables, and a wood fired BBQ built by the Bruce Rock Men’s Shed. Please be aware there are fire bans October to March. The group camping sites are scattered under salmon gums over the former townsite. This is where we chose to camp when we visited at Easter as we were camping with three families, and although we were further away from the facilities, we were very happy with our quiet camp away from the crowded main campsite. There are four loop walks accessible from the campsite: 1.2km Granite Garden walk (allow 1 hour), 2km Cathedral Rocks walk (allow 2 hours), and the 2.2km Railway walk (allow 2 hours) which includes a walk along the old railway line and across nearby Coarin Rock. You can also take a stroll around the old town site and learn more of its history from the interpretive signage. Make sure you check out the remains of the old 1930s cricket pitch. Please refer to signage about the walks, wear sturdy boots, a hat and sunscreen and carry water with you. Depending on when you visit, insect repellent and a fly net could be a must! Walkers are asked to keep to the marked trails to protect the fragile plant communities. An excellent photo board identifying 99 local wildflowers, including orchids, is located at the main BBQ area. During spring you may also see fruiting Sandalwood and Quandong trees which were an important food source to early inhabitants. From Kwolyin it is an easy day trip to Kokerbin Rock, only nine kilometres to the north. Covering nine hectares, Kokerbin Rock is the third largest monolith in Australia and was described in 1863 by early explorer Henry Maxwell Lefroy during his search for agricultural land east of York. 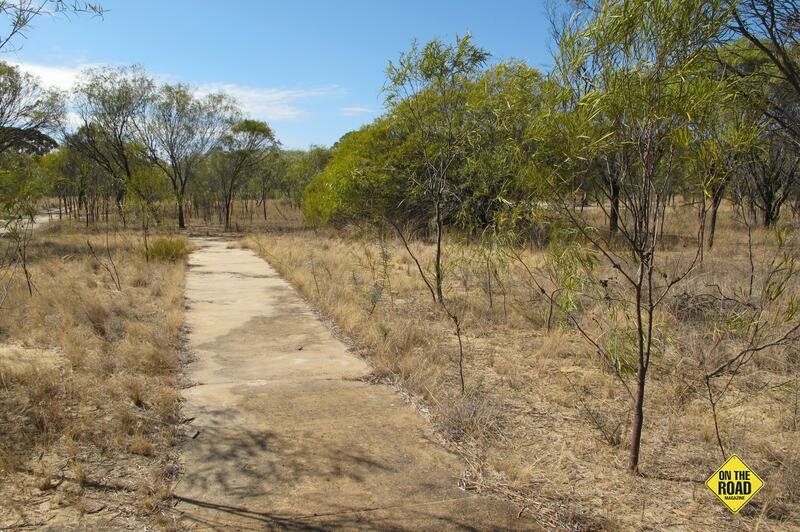 Bush walkers will enjoy exploring this 122 metre high rock, caves, woodland and historic sites. A track skirts the base of the rock and it is worth walking to the top to enjoy the 360 degree panoramic views of the surrounding grain and sheep country. 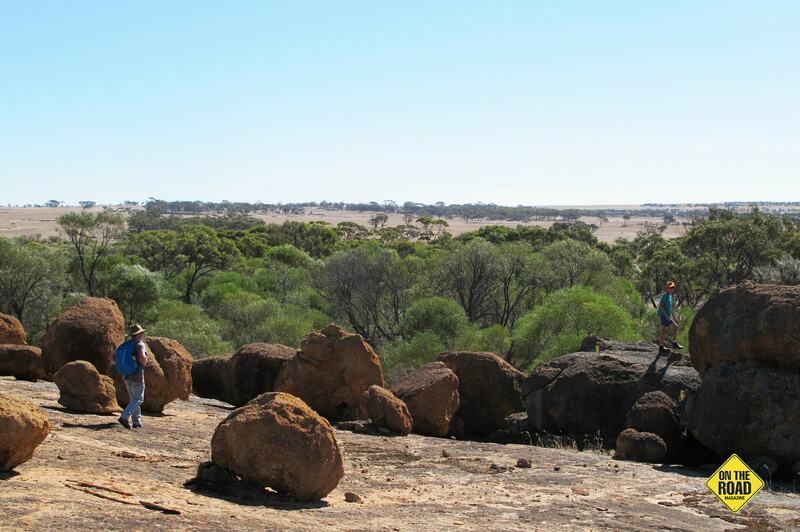 Granite outcrops, like Kokerbin, are a feature of the central Wheatbelt. Kokerbin and nearby Mt Sterling and Mt Caroline were important cultural traditional sites for the Noongar aboriginal people both ceremonially and as a resource for food, water and stone. They believe that the granite outcrops in this area were created by the coils of the great serpent, Moulack. Granite outcrops were used by early explorers, surveyors and sandalwood cutters to camp, take their bearings and water their horses. Granite from the rocks provided building materials and the rocks were often the site of social events. A community annual Boxing Day picnic commencing in 1911 was held at Kokerbin Rock. These rocks are still popular for picnics and rock exploring. With less than 10% of the Wheatbelt’s original native vegetation remaining, nature reserves and granite outcrops like Kokerbin and Coarin Rock provide a valuable habitat for wildlife and flora. Their boulder formations, sheoak, sandalwood and eucalypt woodlands are home to a rich diversity of plant species and wildlife including echidnas and the threatened black-flanked rock wallaby – Petrogale lateralis. The sixty kilometre Granite Way drive trail makes a good day trip from Kwolyin and includes Kokerbin Rock, Mt Stirling and Mt Caroline, all of which have picnic areas. Mt Stirling and Mt Caroline were named by explorer Ensign Dale in 1830. Basic supplies can be purchased at Shackleton, where you can see Australia’s smallest bank. Operating between the 1930s and 1997, this three by four metre weatherboard building was used as an aircraft observation post during World War 2. For a great meal at reasonable prices visit the Shackleton District Club, open Tuesday to Sunday 5pm till 8pm. Free camping at Kwolyin makes this a great spot to stop if you are travelling through the central Wheatbelt. Where is it? 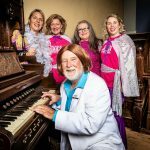 : 7kms west of Shackleton on the Bruce Rock-Quairading Road, 39km east of Quairading, 33km south of Kellerberrin and the Great Eastern Highway, and 229kms east of Perth. Facilities: Flushing toilet with wash basin (recommend you bring your own toilet paper), camp kitchen with gas hotplates and sink, picnic tables and shelter, gas BBQ, rubbish bins, information shelter. Pets: Dogs allowed on leash. Campfires: Prohibited October to March. Please bring your own firewood. Best time to visit: Winter and Spring. Walks: Please refer to the information board for distances, estimated walk times and degree of difficulty.